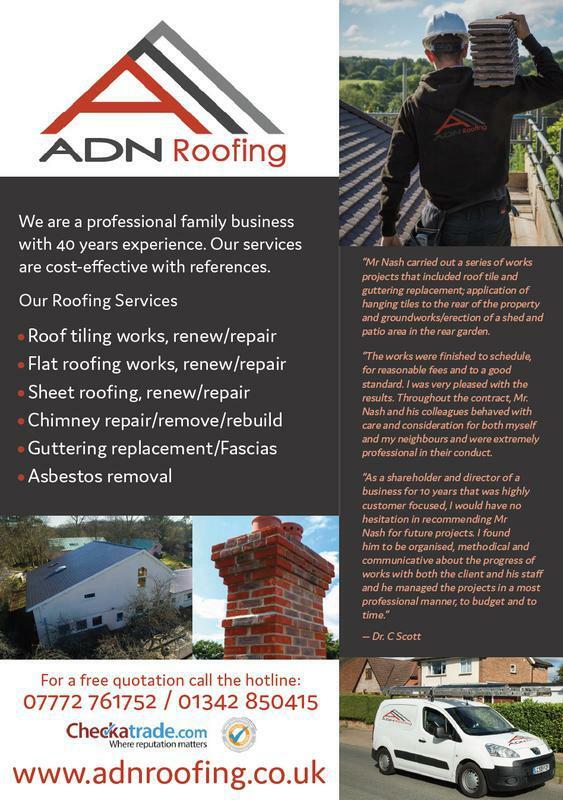 ADN Roofing is a family run business with many years experience in the trade and covering Sussex, Surrey and Kent. 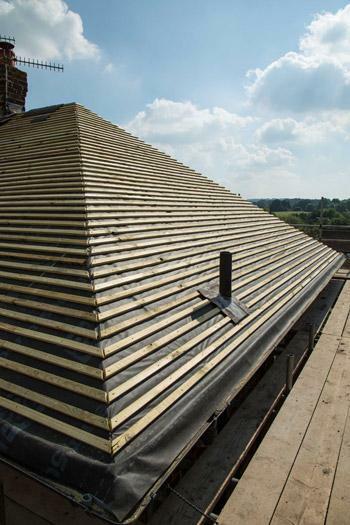 We provide expert roofing services and specialise in high quality, cost effective roof replacements and repairs. 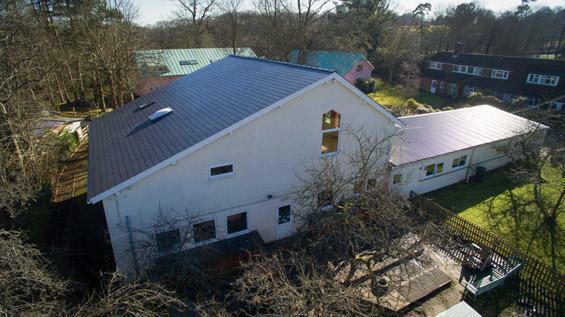 We understand that the roof is one of the most important aspects of a home and therefore a friendly, reliable and professional roofing team is essential. 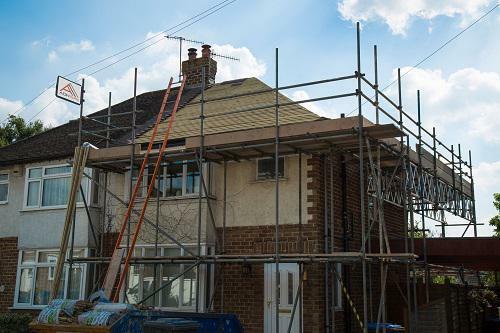 We take pride and care in every job that we do and ensure that our excellent standard of workmanship is maintained throughout any job, whether large or small. Image 1 - Work that speaks for itself. 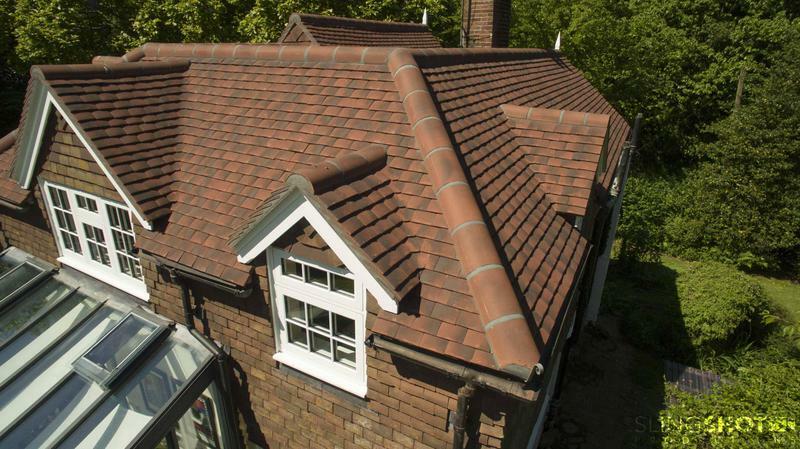 Image 2 - Complete re-roof. 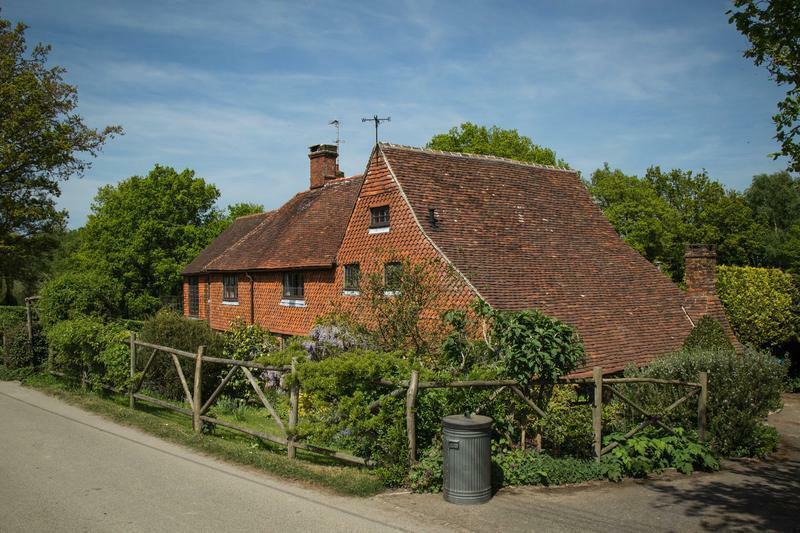 Watch the video to see the process from before to after. 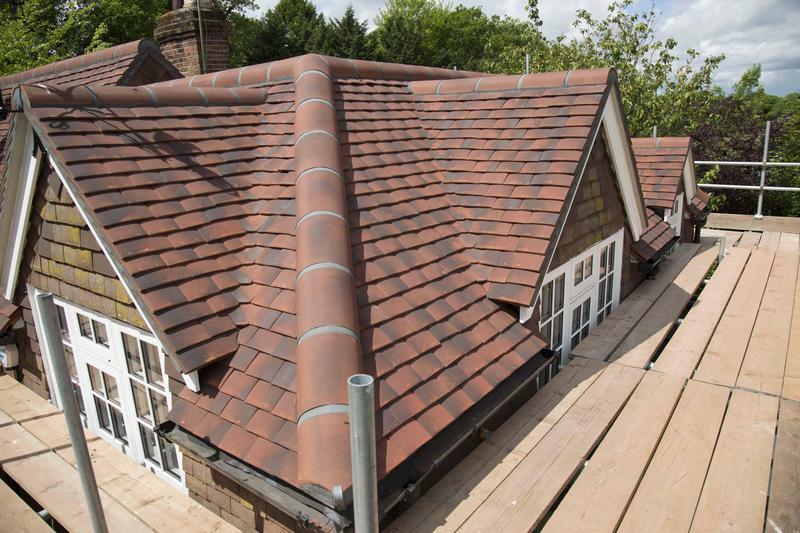 Image 3 - All new tiles to the complete roof. Image 4 - Cement work close up. 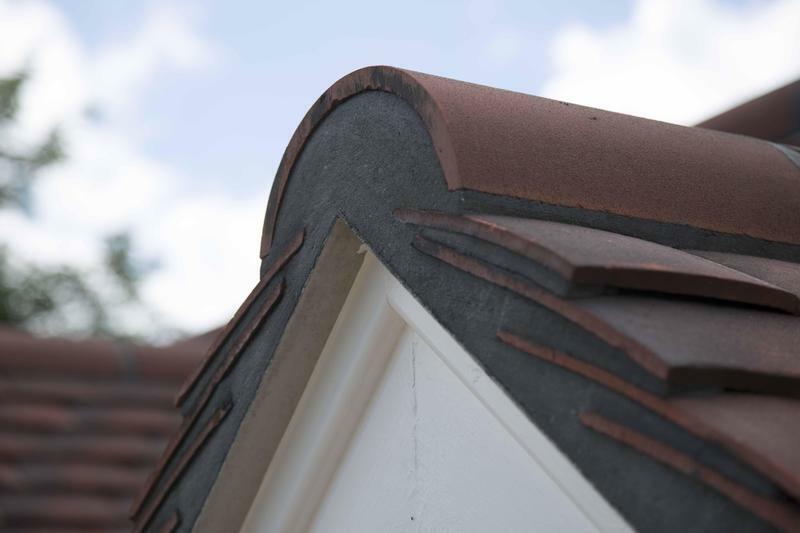 Image 5 - Beautiful cement work on the ridge tiles. 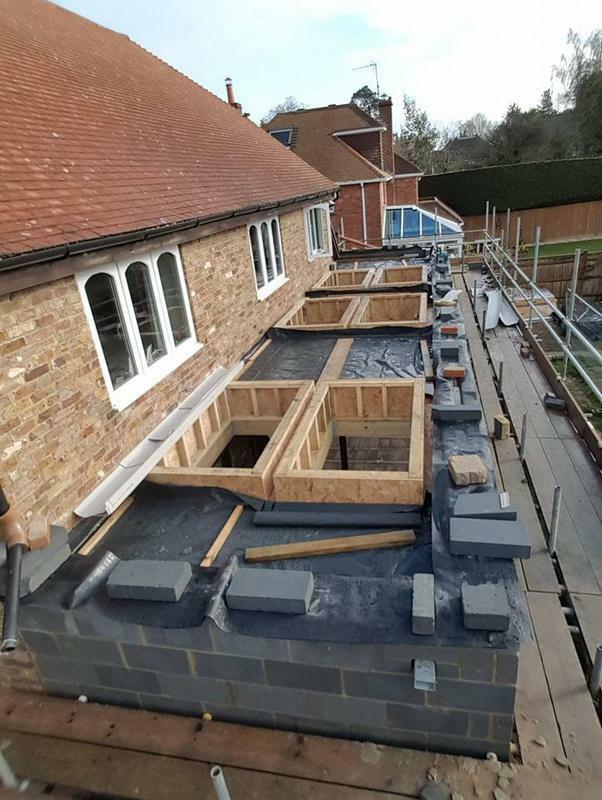 Image 6 - New flat roof project on an extension. Very happy customer. 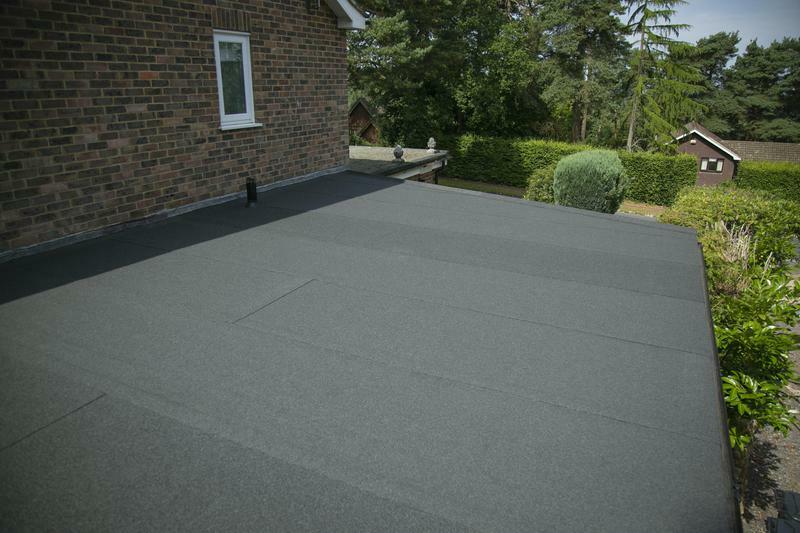 Image 7 - The before photo of a large GRP (Glass-reinforced plastic) roof. 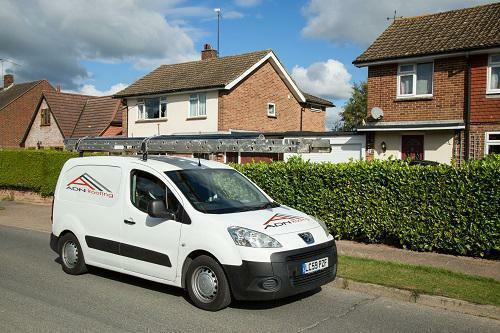 Image 8 - Our team of experts are with you every step of the way. 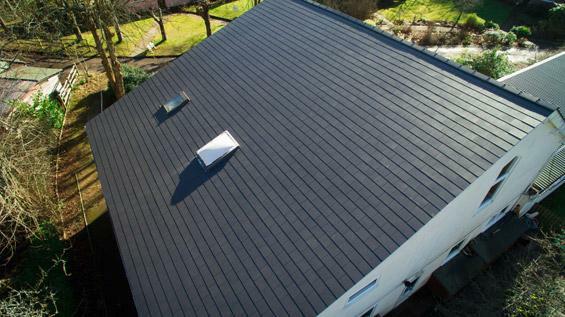 Image 9 - The after photo of the same large GRP (Glass-reinforced plastic) roof. 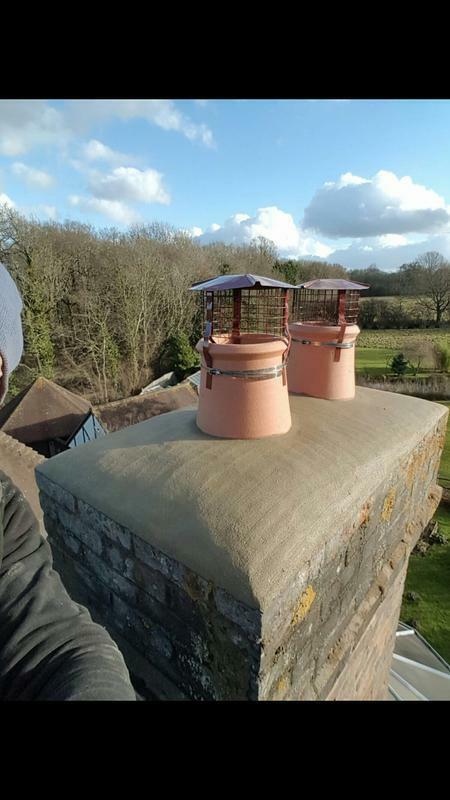 Image 11 - Our diligent team of roofing experts are on hand to offer you advice, a free quotation and an excellent service to resolve any chimney problem that you may have. 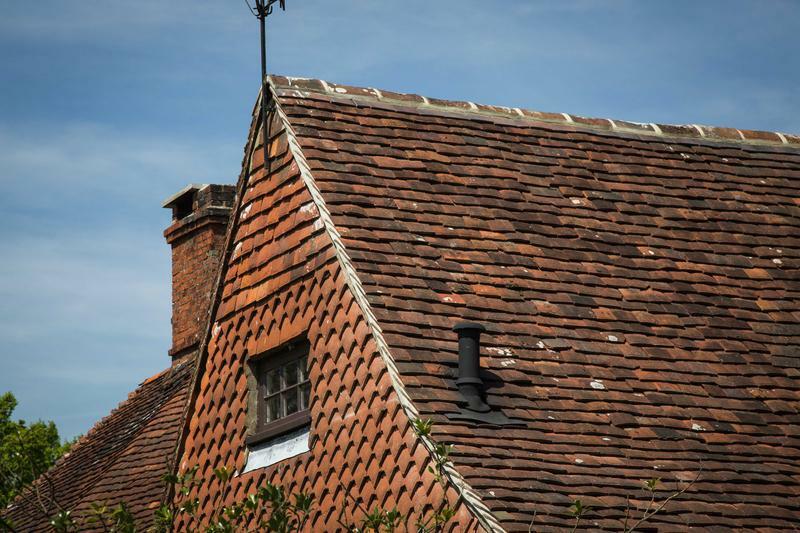 Image 15 - We offer a full range of tiled roofing services, from simple repairs to full replacements on any property of any age. 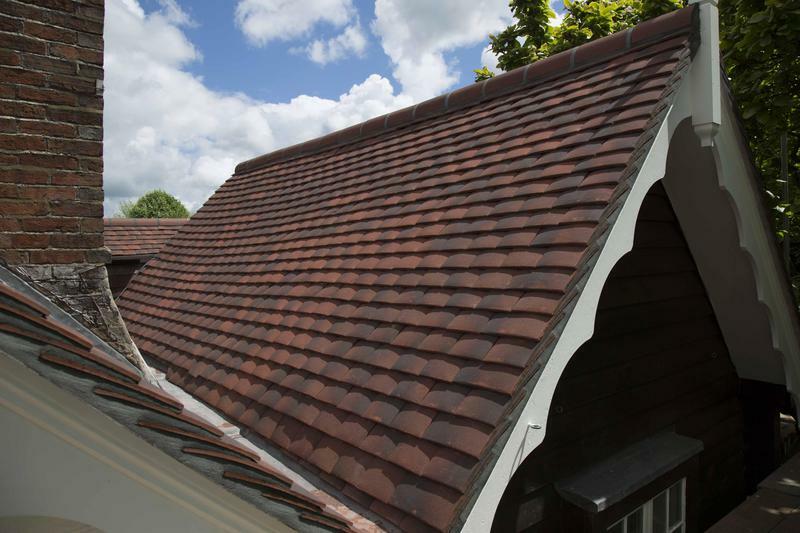 Image 16 - With our team of experts, high quality materials and excellent workmanship, we can cater to all your tiled roofing needs. 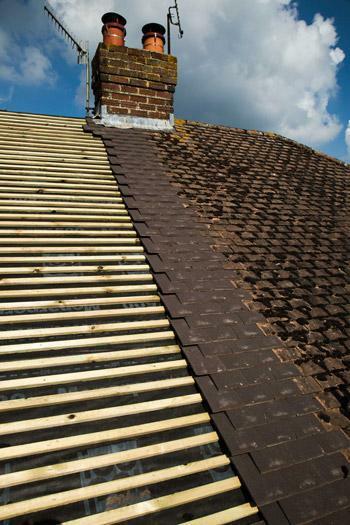 Image 17 - As roofing specialists, we provide a top quality service in all aspects of roof repairs and replacements. 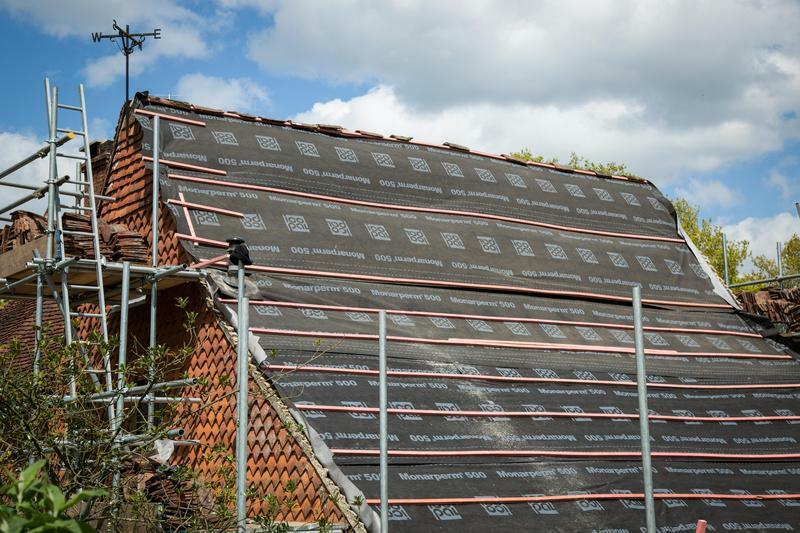 Image 20 - All old tiles, felt and battens removed and being replaced on M house. 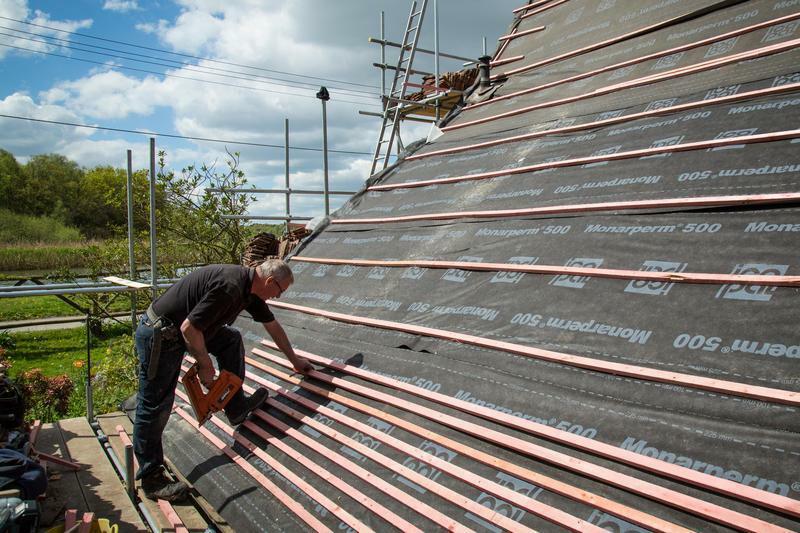 Image 21 - New felt and battens being fitted to M house. 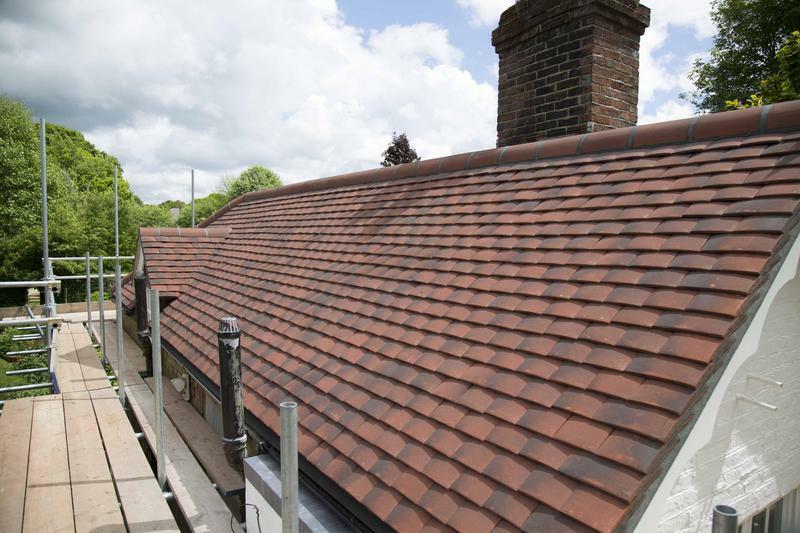 Image 22 - Existing tiles put back on to M house. Image 23 - Completed shot of M house cat-slide works. Image 24 - M House completed project. 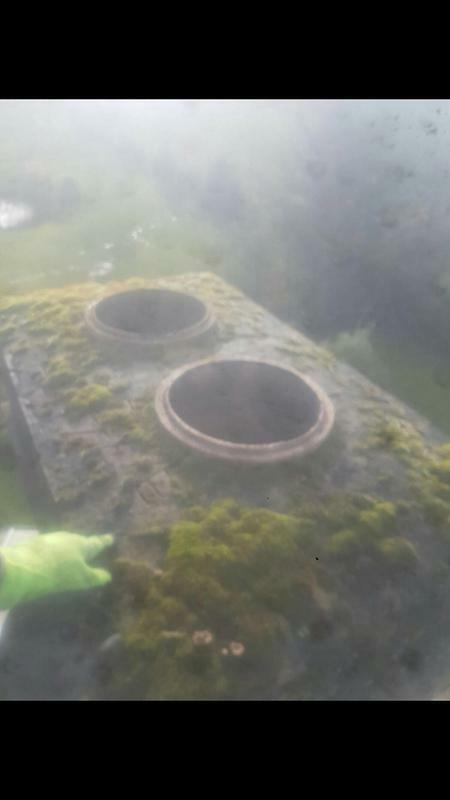 Image 25 - This client had a problem with birds falling down his chimney. This is what it looked like before we started work on it. Image 26 - This is the completed product. 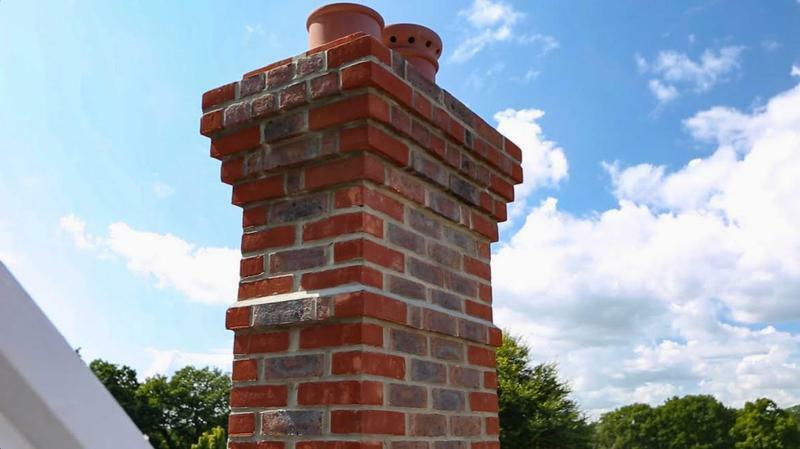 Image 27 - ADN Roofing can handle any type of chimney work you need. 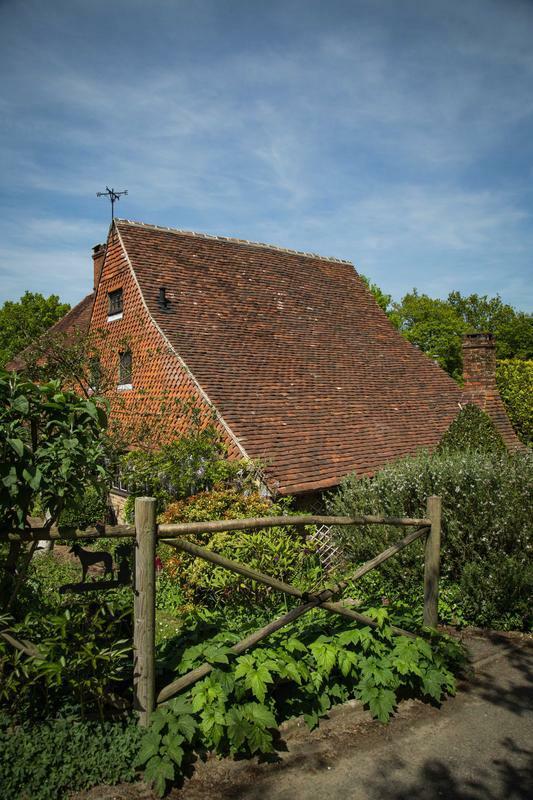 "ADN carried out a complete renovation of a garage roof, including facia boards, beams and a replacement felting. 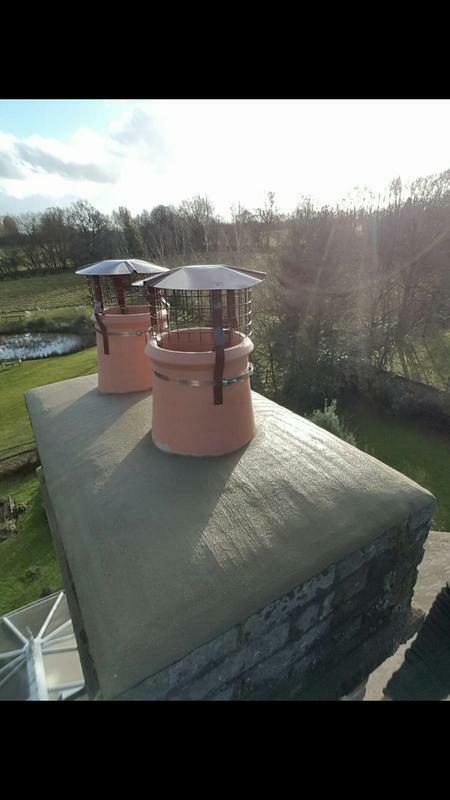 The work was completed to a very high standard and from the start it was good to be dealing with professionals. 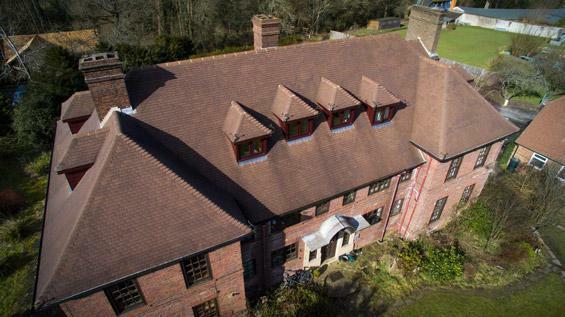 The final price was what was originally quoted, and the roof was completed well within time. 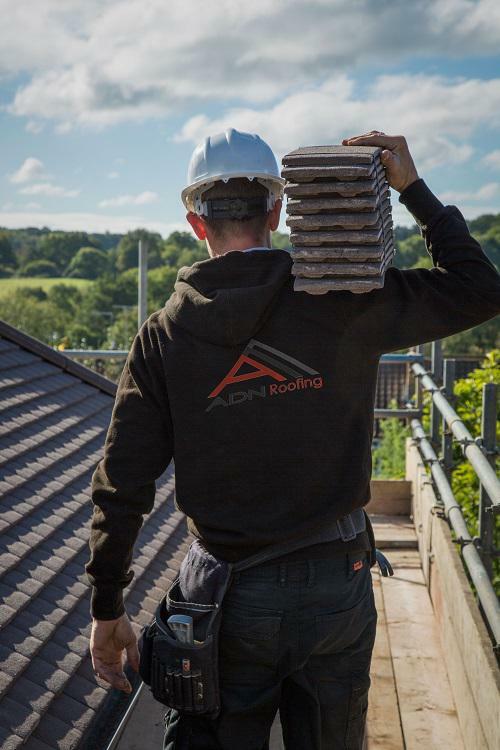 More than happy to recommend ADN roofing, and if required would use them again." 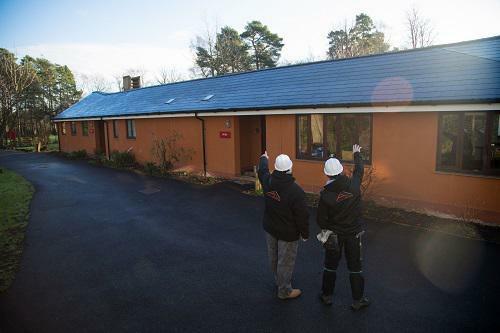 "Good job, well done, good updates on progress during work and looks good!" 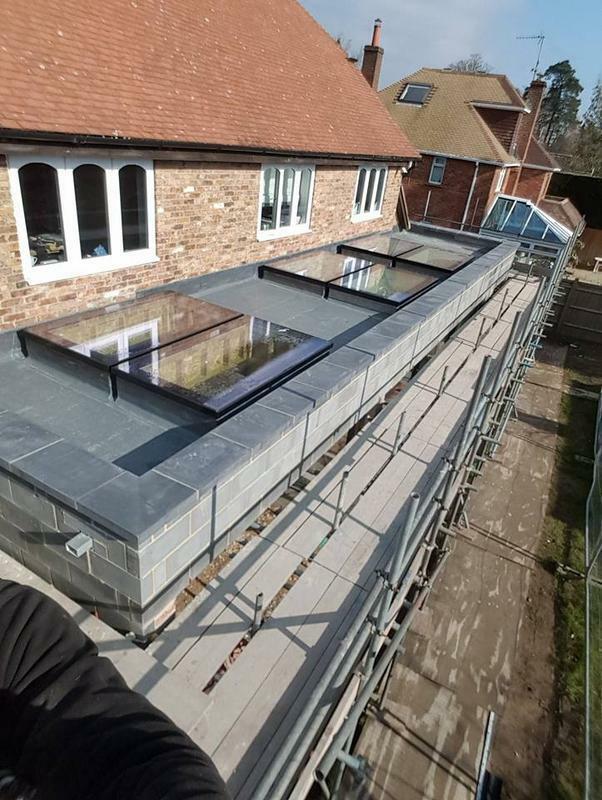 "Very satisfied with standard of work and contractors."